Fans who have been waiting for a new Arctic Monkeys album might have to be patient for a while, based on recent comments from frontman Alex Turner. In speaking with Radio X, Turner said that there was no hurry to release a follow-up to the Monkeys’ hit 2013 album AM. Turner is currently on tour with The Last Shadow Puppets, as Rich Karfilis touched on earlier this week. Once the summer ends though, that side project will go back on the shelf. 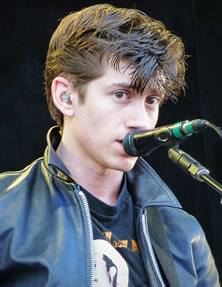 “The plan was to end [Last Shadow Puppets] at the end of the summer, and I think we’ll stick to that,” Turner said.